Water is one of the most destructive contaminants in lubrication. It is capable of causing significant damage to the lubricant itself and to the equipment in which the lubricant is used. Maintaining equipment reliability requires diligence: You should monitor the water content of each lubricant you use, and control water contamination through proper removal and prevention. Minimizing water contamination in a lubricant helps prolong equipment life. Begin by monitoring the water content by way of regularly scheduled oil analysis. Laboratory testing and analysis can assess water content far more accurately than anyone can by mere visual inspection. Periodic analysis may help spot water contamination issues early on, before the water has the chance to do harm. The analysis also may help identify the source of water contamination, so that corrective measures can be taken to minimize or prevent future water-related issues. Draining settled water from the bottom of the system is typically a simple, cost-effective option, relying on gravity to do most of the work. However, it only removes free water, not water that is emulsified or dissolved in the oil. The oil needs good demulsibility (water separability) and a specific gravity less than that of water for this method to be effective. A centrifuge can be used to spin oil and water apart, and it generally removes free and emulsified water (but not water dissolved in oil). This method works better with oils that have a low specific gravity relative to water: The greater the difference in specific gravity, the more effectively the centrifuge can separate the fluids. Some types of absorbent filter media can remove limited amounts of free or emulsified water from oil. This cost-effective option may be useful for applications with minor water contamination. However, it may be insufficient or impractical (requiring frequent filter changes) if substantial water removal is needed. Running the system at a high enough temperature to boil off the water can be effective in many circumstances. Water boils at 212°F (100°C), and this temperature usually is not problematic for most lubricants. This option is often recommended for air compressor applications. Vacuum dehydration is a process that applies heat and reduces pressure, allowing water to boil and vaporize at a moderate temperature. In most cases, the moderate-temperature boil does not cause thermal/oxidative issues for the lubricant. Vacuum dehydration removes dissolved water as well as emulsified and free water, so it is often a good choice for systems with very low moisture tolerance. Air stripping is another dehydration method. In this case, air or nitrogen gas is drawn into heated oil and, under high velocity, the water migrates to the gas and is removed. This method removes dissolved, emulsified and free water. An even better, far more effective approach to controlling water contamination and avoiding its consequences is to prevent as much water as possible from getting into the lubricant in the first place. Check and replace any seals on equipment or stored lubricant containers that may be failing (or on the verge of failing) due to wear, swelling or other damage. If possible, store lubricants indoors in a clean, dry, temperature-controlled location. If storing lubricants outdoors, use tarps and platforms to protect them from precipitation and ground moisture. Make sure that caps, hatches and bungs on lubricant storage containers are tightly and securely closed. Use desiccant filters and breathers to help minimize water ingress from humid air, indoors and outdoors. When washing down equipment or containers of stored oil, avoid wetting seals, breathers and vents — particularly if using high-pressure sprayers. Repair or replace leaky or corroded heat exchangers or oil coolers. Watch for, and eliminate, sources of condensation, such as cold fluid lines near a heat source. Use vapor extractors or fans to help minimize humidity. Lubricants vary with regard to their ability to resist absorbing moisture (hygroscopicity) and their ability to maintain chemical stability in the presence of water (hydrolytic stability). Make sure that you use a lubricant with the right water-control characteristics for the job. If your lubricant falls short, you greatly increase the risk of water-related equipment damage and failure. Isel offers a broad range of water-resistant lubricants for nearly any application and operating environment, including applications operating in humid or wet conditions. Many of our fluids have been proven to offer superior water resistance and hydrolytic stability compared to competitive formulations. Also, Isel offers oil analysis services to monitor the water content and other conditions of your Isel-manufactured fluids. 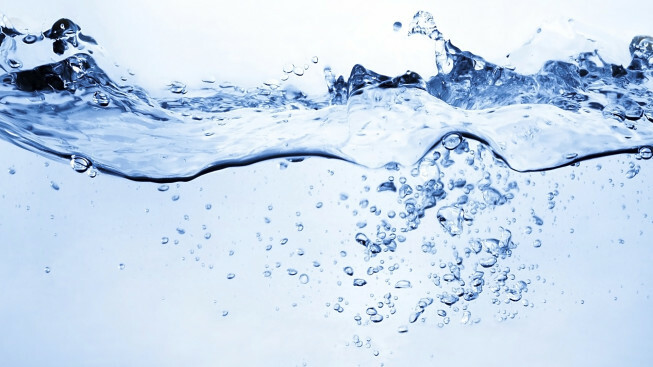 We can help you avoid lubricant-related water hazards and enhance equipment reliability. For information, contact us today.